With Readly you can read The NBA Book and thousands of other magazines on your tablet and smartphone. Get access to all with just one subscription. New releases and back issues – all included. 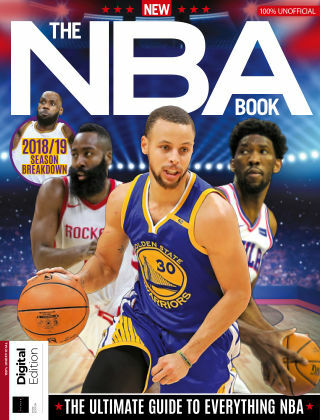 The NBA Book is a complete guide to the world's most exciting sport – a celebration of basketball for NBA newcomers and veterans alike. Inside is a history of the game – with features such as the 10 Greatest NBA Games of All Time and the Top 50 NBA Icons – along with an explanation of the NBA rules and jargon so you can quickly get yourself up to speed. With a review of the 2017-18 season as well as profiles of every NBA franchise ahead of the 2018-19 season, there's something for every basketball fan here.